HomeCan You Feel So Now? Can You Feel So Now? When I was a youth in the Church, there was a strong cultural move towards check lists. At youth conferences, in our weekly meetings, and our regular bishopric interviews, we were encouraged to make lofty goals and then to break them down into achievable task that could be checked off to show measurable progress. To aid us in this process, a well-meaning local leader created a laminated Spiritual Checklist that was pre-populated with all worthy goals necessary to lead us back to the Celestial Kingdom. With exaltation being my ultimate goal, I dutifully did all I could to check off each task on my chart. By the time I turned 18 I had a strange problem. I had checked off all items on my Spiritual Checklist yet I felt no closer to earning my spot in heaven. I was baffled as to why all my good works left me spiritually wanting. Sure there were several moments while checking off my tasks where I had spiritual experiences. But those personal, sacred experiences seemed so fleeting. Why didn’t my good works make me feel worthy to live with God again? This conundrum haunted me until I made a closer study of Alma 5. Alma the younger, who was the prophet, grew concerned about the lack of joy the gospel was bringing to those in the Church. Doesn’t that sound similar to a recent talk by given by President Uchtdorf? The Nepthites in Alma’s time were doing good works. But these deeds left the members feeling hollow inside. Something was missing. Just like the Nephites in Zarahemla who heard Alma’s talk, that one question changed everything for me as well. Alma was clearly teaching that our personal relationship with God wouldn’t come by way of a checklist. Indeed, our good works would never earn us a spot in a heavenly mansion. Salvation was not found in doing; rather it is the result of our doing helping us become. 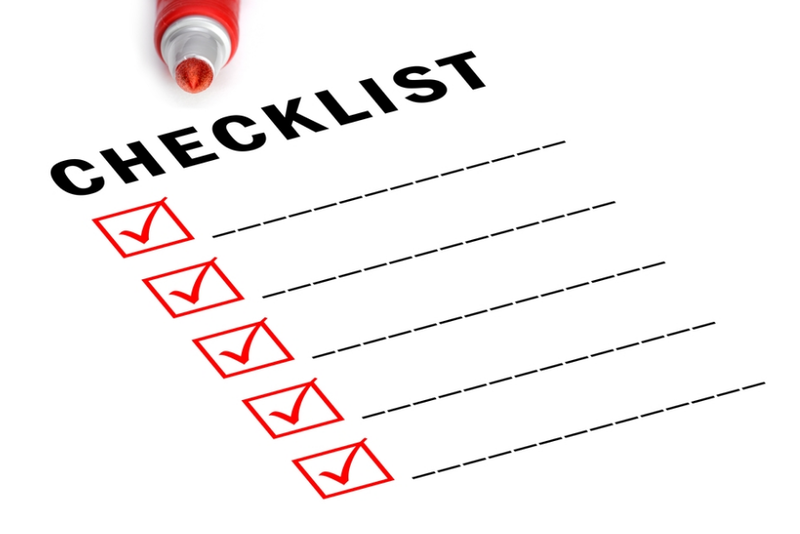 The problem with the checklist culture is when we check off our completed tasks we falsely assume that work is done. But the key to happiness is realizing that our work is never done. The work of salvation is iterative. That is what God meant with he said we learning line upon line, precept upon precept, here a little and there a little. When Alma asked: “Can you feel so now?” What he was teaching is that we need to find joy in the journey and let God worry about our destination. So long as we endure the trials of mortality well, we have no need to fear and no room for debilitating guilt. Indeed, man is that he might have joy.